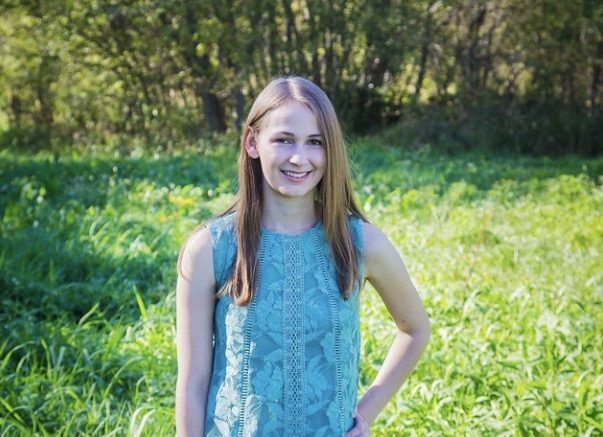 Marissa maintains excellent low blood phe levels, keeping to a strict diet, and says about her PKU, “Everyone in this world has at least one obstacle to overcome, and this is just my version of an obstacle. I hardly think about the fact that I have PKU and I would rather not because it does not define or control me. It always surprises me when people feel sorry for me, that I can’t eat what they are eating, because that doesn’t matter to me. The true purpose of food is to give your body what it needs to function, so why would it matter to others that I eat salad but not chicken? With PKU I have daily practice with self-control. I will never see PKU as a hindrance because if controlled, it can be quite the opposite in many ways.” Since she was in fourth grade, she has been calculating her own phe intake, keeping track of her own diet and packing her own lunch. Now, she is mainly responsible for making her own meals. Marissa, who is an excellent student achieving a weighted 3.85 GPA, is a member of the National Honor Society. She is also a member of DECA (an international nonprofit organization designed to build leadership skills) and has competed at the state competition (receiving fifth place) and also the international competition, honing her communication skills. She was a member of her high school Junior Varsity Tennis Team and was awarded “most Improved Tennis Player” Marissa has won numerous academic awards throughout high school. She also works part-time, babysits and volunteers at her church through the student ministry program and in the community.